The graphic design of this early 1960s Japanese postcard is just stellar. 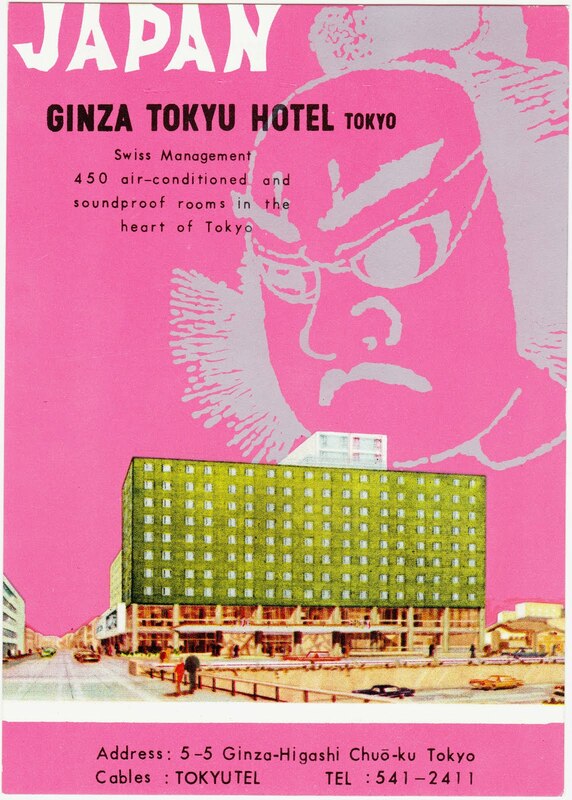 I've written about the Ginza Tokyu Hotel before, but learned something new from this postcard — I hadn't realized that it was under "Swiss Management" during this era. One of these days, I should probably take all of these separate Ginza Tokyu Hotel entries and wrap them up in one comprehensive post, like I did with Lada Draskovic. Postcards can still be a good present. It does bring back memories. How I wish that they would come back again but with the emergence of the internet, I can't see that from happening.